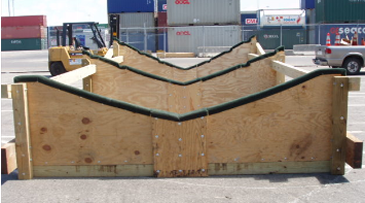 Support your watercrafts during boat transport with well-made shipping cradles designed by SHRINK WRAPPING, LLC. in Miami, Florida. Made from wood or steel, these professionally-built cradles can hold boats in place while they are being transferred to another location over road or sea. Our products are perfect for shipping and freight companies. Have a cradle customized for the size of your boat. Each cradle we build it made specifically for the boat it’ll be supporting. Save more money by purchasing cradling made by our skilled builders. Depending on the size of your boat, prices will vary. Contact us to ensure your watercrafts arrive at their destination without being damaged with our shipping cradles.